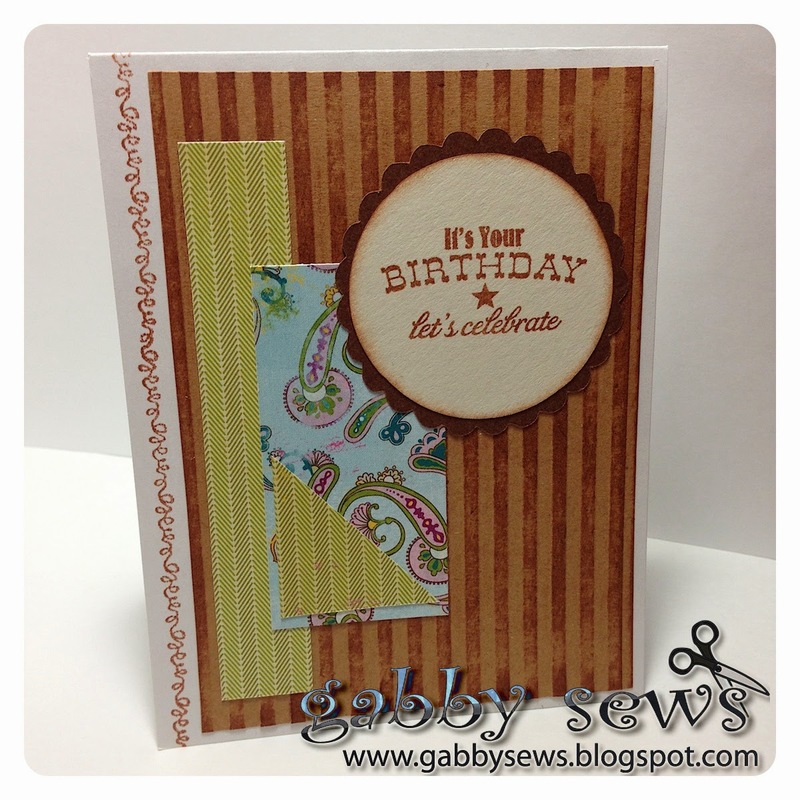 I used an old One Sheet Wonder sketch from Susan Roberts for these cards. I changed it up just a little bit by trimming the corner diagonal pieces about 1/8" so they would standout a little bit from the corresponding paper layered underneath. I made four cards from one 6X6 piece of paper from the Authentique Essentials Collection. My solid papers were all Core'dinations card stock and I used a Darice Stripes embossing folder on the base layer (rubbed with ink to give it more dimension). I used my Cricut Craft Room Essentials to cut out the scallop circle (2.25") in brown and the sentiment circle (2") in cream. The sentiment stamp is from the My Favorite Things Howdy set and the squiggles along the left edge were stamped directly on the card base using the Fiskar's Happy Birthday set. I used Tim Holtz Vintage Photo ink for all the inking. Three cards are going to Operation Write Home. Oh how fun is this! You did a great job with the sketch... Love the different patterns and colors that you used. TFS!